Security and performance are the two mainstays for the correct functioning of any smartphone. 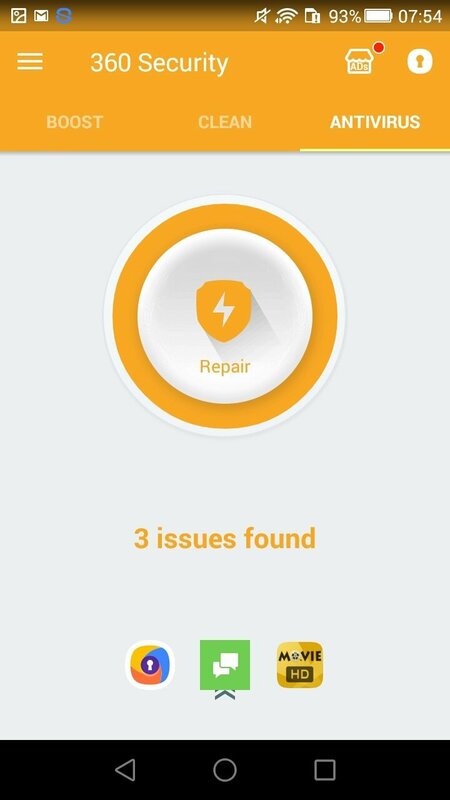 That's why there are so many applications that offer us both concepts in the same tool, such as this 360 Security - Free Antivirus, Booster, Cleaner, an app to improve the functioning of our device whilst it also protects us against all sorts of malware threats. And all the latter, with a single screen tap. We're talking about a tool that can come in handy on your Android to make it work like the very first day you bought it. For such purpose, it splits its functions into three areas: speeding up, cleaning, and antivirus. 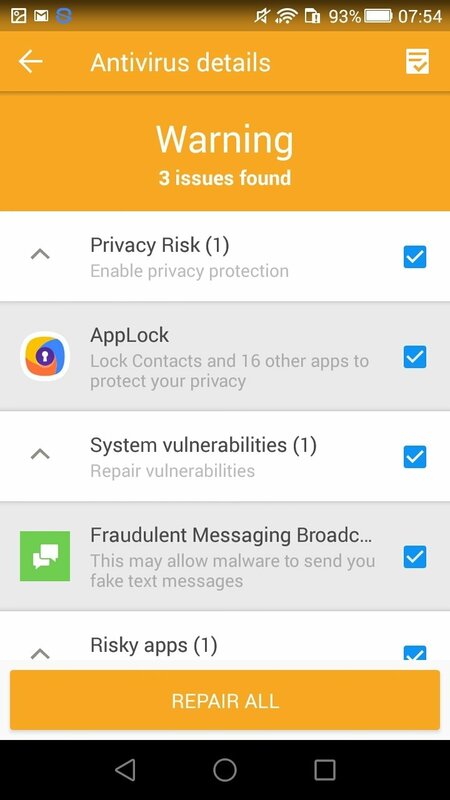 We just have to access any of them and press the corresponding button to run a system analysis and perform actions on those processes making our phone sluggish, on useless files that hinder our storage space or on those threats that put the integrity of our privacy or our device at risk. 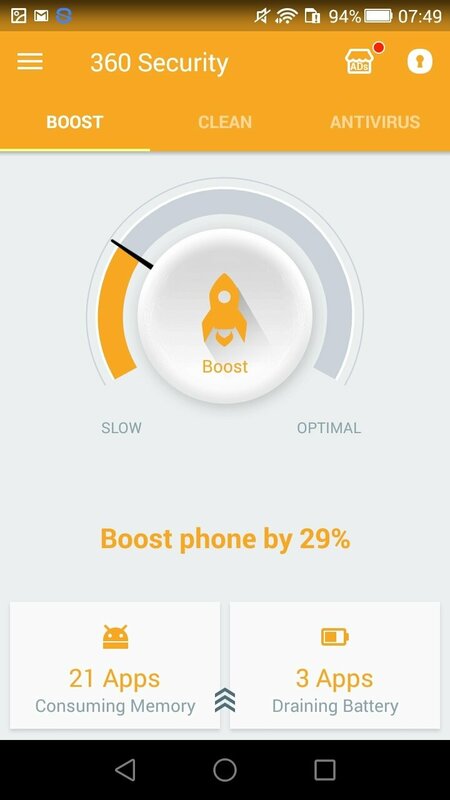 An Android optimization app designed for users that want everything to be nice and easy. 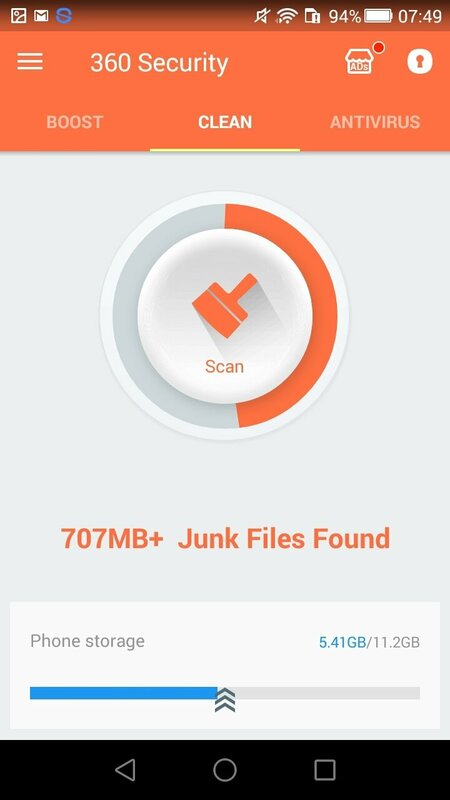 Cleaner: full system exploration using databases to compare and identify junk files that build up on our smartphone or tablet. Energy saving: modes to save battery that allow us to use certain resources only when they're strictly necessary. 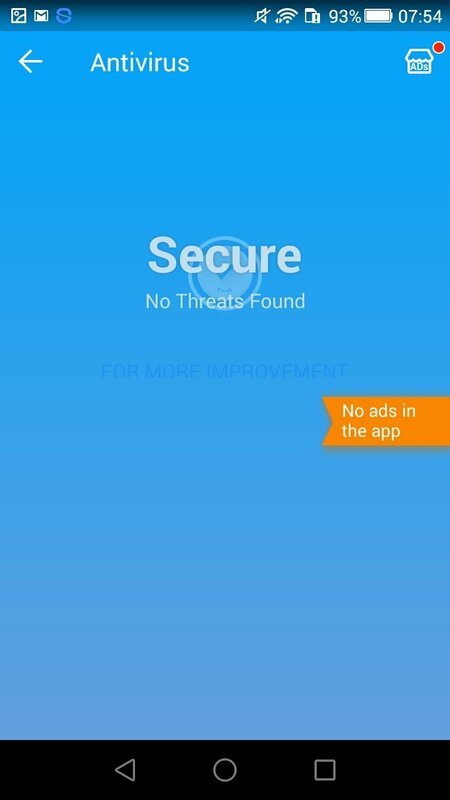 Privacy: the app allows us to configure different privacy profiles so that our personal information is only shared with whom and what we want. Anti-theft protection: a system to block and delete data in the case of theft or loss, as well as the possibility to locate our device. These functions can be enabled from the 360 Security website. 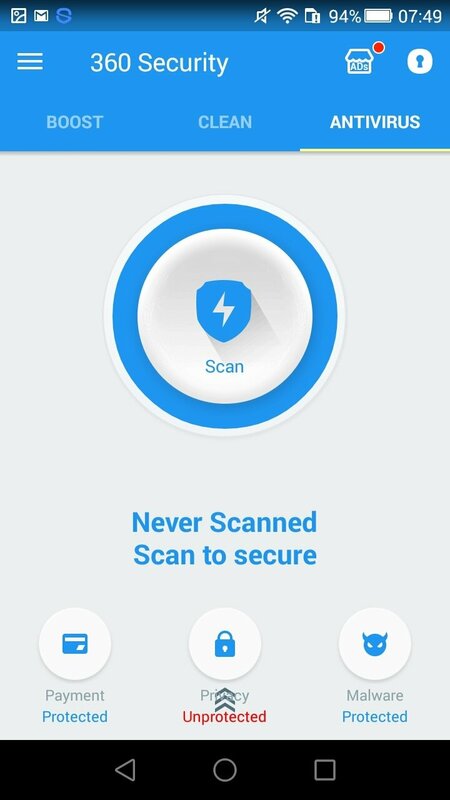 Antivirus protection: real-time protection against viruses and other forms of malware that analyzes both installed applications and local APKs. All installation processes are supervised as well as the files received. Nevertheless, in the case of these applications, we always have to answer the same question: do they really work? 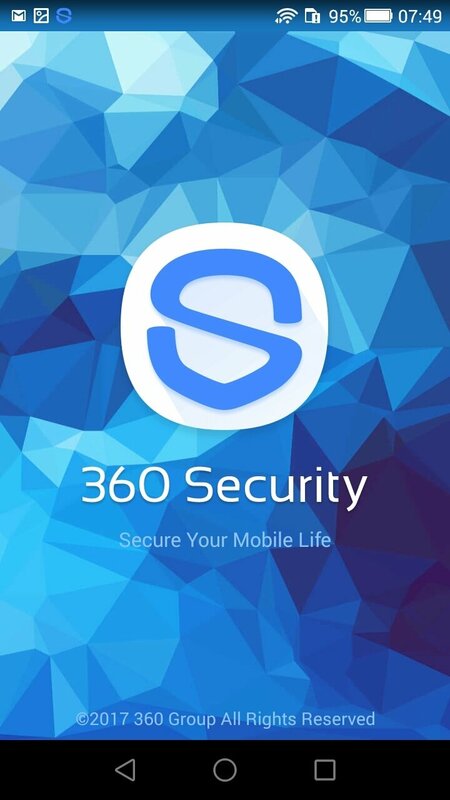 If we take into account the opinions of other users about 360 Security, many of them don't think it's too good and usually complain about its adverts. 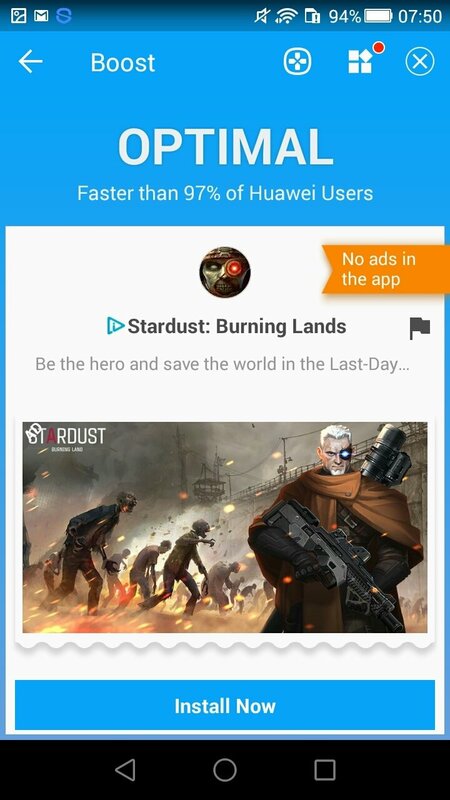 The truth is that the Lite or free version comes along with too many ads that are probably there to force us to purchase the Premium Full version once we've installed the APK. 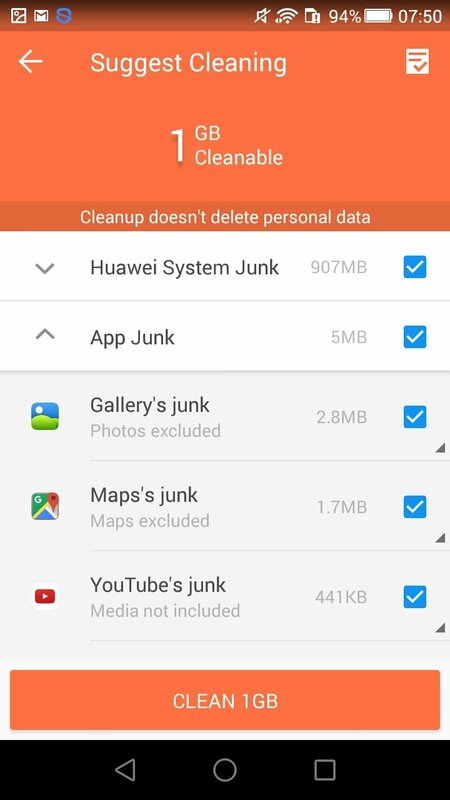 The best option would probably be to download CCleaner or any other reliable alternative, basically due to the app's reputation. And if we're looking for a decent antivirus, the solutions developed by AVG, Norton or Avira are probably better.